legivoc is the first Internet-based platform dedicated to the diffusion, edition and alignment of legal vocabularies across countries. Funded in part by the European Commission and administered by the French Ministry of Justice, legivoc offers a seamless path for governments to disseminate their legal foundations and specify semantic bridges between them. 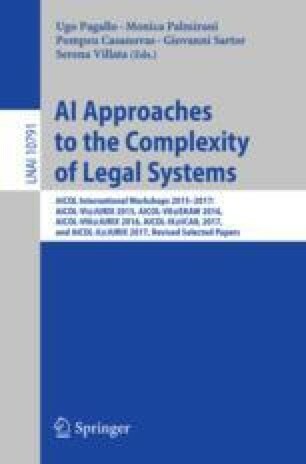 In this system description paper, we outline the general principles behind the legivoc framework and provide some ideas about its implementation, with a particular focus on the state-of-the-art tools it includes to help crowdsource the alignment of legal corpora together. We thank Claire Medrala for her help with the implementation of the legivoc Twitter interface. We also thank the anonymous reviewers of the 2015 LST4LD and AICOL workshops for helping us improve our paper.